It started with a bowl. Yes, it was that simple. With the rise and rise of Instagram, health-food bloggers kick started the ‘smoothie bowl’ trend. Bright and bold, these colourful bowls, topped with strawberries and granola, would be the start of an overnight crockery revolution: where plates were getting metaphorically smashed, faster than in a Greek restaurant! 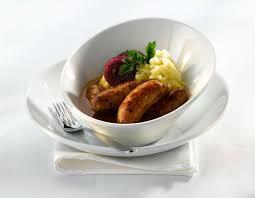 Then suddenly, our favourite TV chefs including Jamie and Nigella were jumping on the bowl bandwagon. Bowl food has a few characteristics in common: it is usually healthy, comforting and nutritious with a balanced mixture of veggies, protein and grains. ‘Bowl food’ has made us realise that food does not need to be bad for us to mean that it’s comforting. As fast food starts to lose its sticky grip on the ‘Instagram generation’ we are seeing positive new indications that youngsters are instead opting to cook from scratch and take the lead from other cultures. 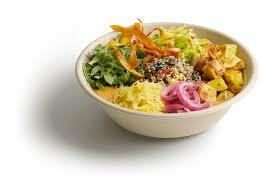 In much of Asia bowls are used much more than plates. With curries, risottos or salads bowls are simply the more practical choice: you can mix up your dish freely without worrying about spillage. Unlike the west, in Thailand people opt for rice-based dishes rather than our old-fashioned notion that a plate should have sitting on it meat and two veg. e prefer to eat more rice than meat. Meat sits heavily in the stomach and can make us sluggish following a meal as the body diverts much energy into digesting it, whereas rice, herbs and spices work with our digestive systems and don’t make us feel sluggish, with rice (especially brown rice) giving us a slow-energy release. 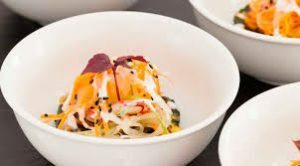 In restaurants and at corporate and private functions, bowl food is growing ever more popular as you can eat on the go, with minimal spillage and it can be eaten standing or sitting; perfect for networking. Not only that but food stays hotter too – good if you’re talking a lot! Bowl food is so appealing as it’s changing the way we think about food: how we serve it, how we eat it – and even more importantly, how we change our perceptions about how food makes us feel. Comfort food can mean that it’s a treat – but a treat that makes us feel good. Dependent on the size and duration of your event we would normally recommend 3x main bowls & 1x dessert bowl per person.